Miami is the epicenter of sportfishing in Florida. With it’s proximity to the Bahamas, it is the perfect hopping off spot for summer ventures and hosts a winter fishery for sailfish that can be hotter than any destination in the world! What is Miami without a premier early season sailfish tournament? It’s something that has been vacant from the 305 until now. The Magic City Sailfish Showdown offers a new FRESH approach to what has become the same cookie cutter events up and down the coast. Being fishermen, we understand that appreciating the dollar goes a long way. With that in mind this is a tournament where all the extra added entry options (calcuttas) are left untouched. That means whatever a participant puts in they get back. The entry levels give options to every body from the penny pincher to the high roller. 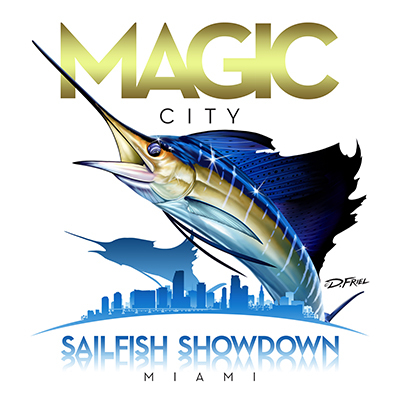 We are proud to present the inaugural Magic City Sailfish Showdown! This year’s event will be held out of Black Market in Downtown Miami, Dec. 5-9, 2018. Black Market’s amazing location, mixed with easy accessibility, food and beverage, makes it a premier location ripe for an event like this. 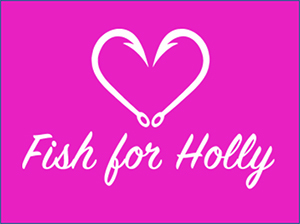 Holly, at age 26, was a happy soul who loved to be on the water, fish, hike, and spend time with friends & family. She was finishing her college degree and was ready to make a new start when she tragically lost her life to domestic violence. Holly Hannah Given was a true “conch”, but not just any Conch. Born and raised in the Florida Keys, Holly represented the best and most fruitful parts of our small community of Conchs. Holly was The Coral Shores High School Homecoming Queen, she was voted Best Athlete, she was a honor roll student, an advocate for leadership and community service, she was an avid fisherman, she was a creative soul, she was a best friend to so many of us, and most importantly she was a loving daughter and sister to her parents, Pat and Lucy, and her younger brother, Jack. The loss of Holly hit the heart of the community where she shined so bright. For all of Holly’s family and friends near and far, she unites us all in this moment of time as the pearl of our small town. Holly’s laugh and light will live on each day in the sun that sets over the Florida Bay, she will be the sun that rises over Alligator Lighthouse every morning, she will be the jump of a Sailfish, and the first cold sip of a margarita. Holly will forever be in our hearts as a young woman who lived her life to the fullest and never looked back. Cheers to Holly’s life and beautiful legacy! © 2019 EIP | All Rights Reserved.